Hacienda Heights International Library on the Web! Respect each other and the items in the library. During instruction, do not talk while the librarian and/or others talking. Student will be asked to correct offensive behavior. Student will return to his or her chair and will not be allowed to check out books. Student will be sent to the office if the behavior is not corrected. • No overdue fines are charged, but students may not check out if books are overdue. Any books that are lost or damage beyond repair must be paid for. Replacement costs for books range from $10.00 - $30.00 each. 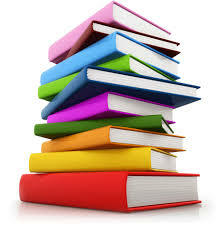 Students who are or have been consistently irresponsible with materials may be limited to 1 book and/or will not be allowed to take them home. Parents must have a visitors pass from the front office. Our online library catalog can be accessed from any computer with internet access, both at school and at home.